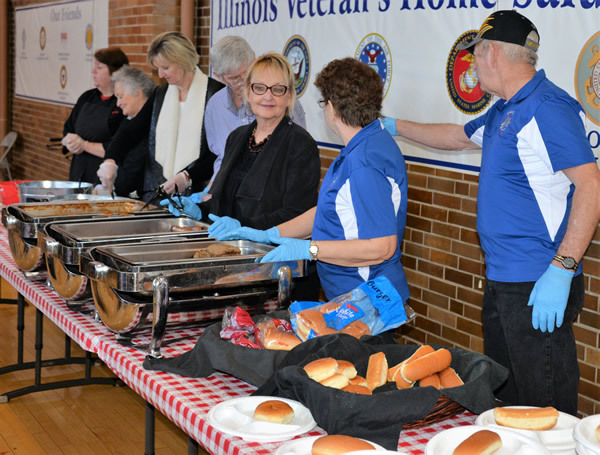 Our Elk’s lodge #100 sponsored a luncheon for the local veterans at the Illinois Veteran’s Home in Quincy, Illinois. The luncheon included music entertainment by a local guitar player. 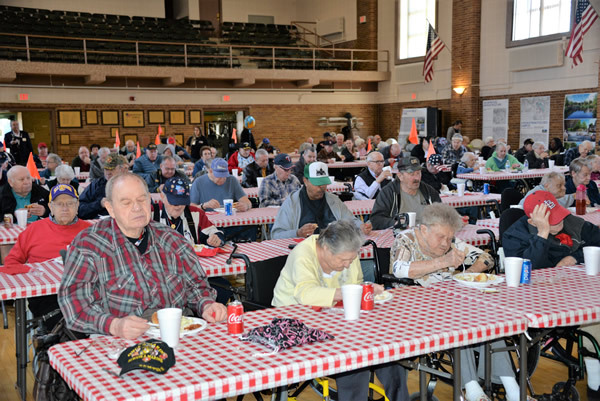 The luncheon included hamburgers, bratwursts, cole slaw, potato salad, and baked beans. 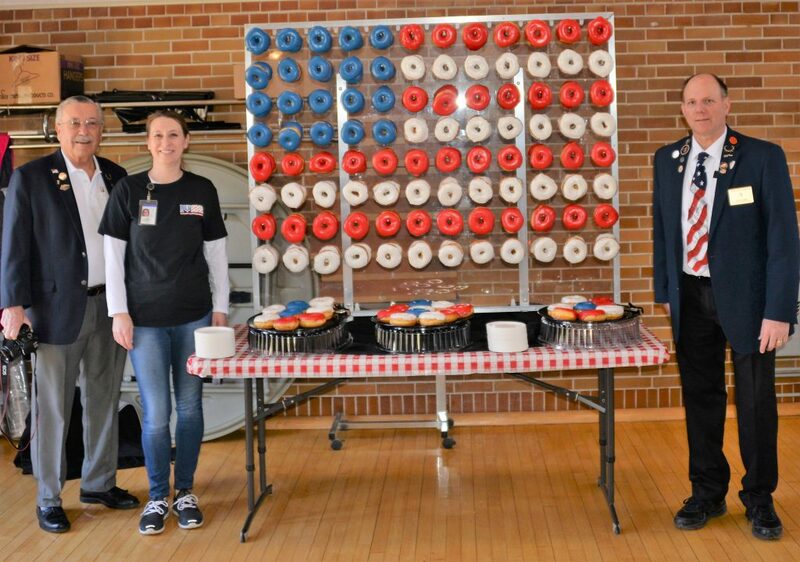 Dessert was very special, as the caterer provided a donut board in the shape of an American flag. The donut board is a peg board that holds donuts in a pattern. The veterans especially liked the patriotic theme of the dessert. There was also ice cream. The entertainer was a local guitar player who knew many songs. He took requests and played a verse or two from each song, so the crown didn’t get bored. He had many of the veterans dancing with staff and volunteers. 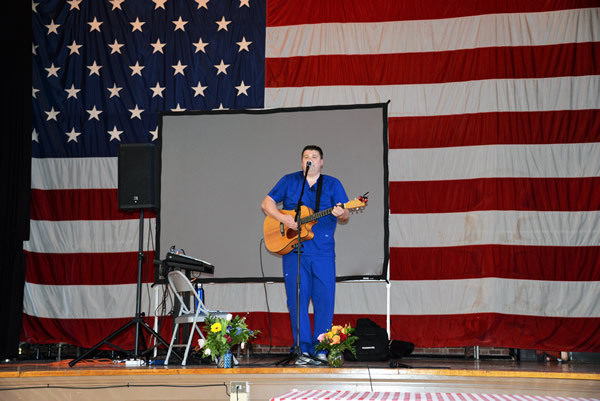 It was a special time for many of the residents of the veterans home. The veterans were treated with great respect, and they deserve this for all they have done for all Americans. 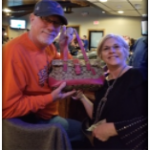 They had a great meal, and had fund singing along with the entertainer. 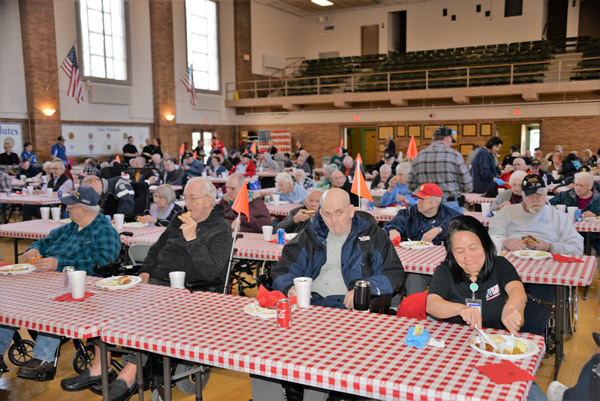 Many individuals thanked the Elks and the staff of the veterans home for coordinating and supporting the event. It was a special day for many in attendance, as they don’t often get an opportunities to get out of their living areas. There were also 15 veterans home staff in attendance and helping. The staff received a lunch as well, and had a great time singing and dancing the music. The Mayor of Quincy (home of veterans home) kicked off the event with a quick thank you to the veterans in attendance. 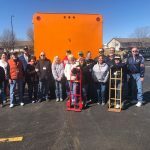 Photos were taken by members of the Quincy Elks for distribution. Also, an article will be submitted to the Quincy Herald Whig, our local newspaper. There were also 15 veterans home staff in attendance and helping. The staff received a lunch as well, and had a great time singing and dancing the music. The Mayor of Quincy (home of veterans home) kicked off the event with a quick thank you to the veterans in attendance. Photos were taken by members of the Quincy Elks for distribution. Also, an article will be submitted to the Quincy Herald Whig, our local newspaper.